My name is Kostas A. Vazakas from Egio, Greece and I 'm an agricultural engineer. Two of my hobbies are listening music and diying (specially audio), for more than twenty years ago. I was a happy owner (I still have one in the living room) of many versions of A-40 from 1981(more transistors, regulated PS etc.). More than fifteen friends of mine, are listening music from my old A-40s. In 1995 I built the BOZ with dual PS and after four years with dual PS of the BOSOZ (only the positive branch). 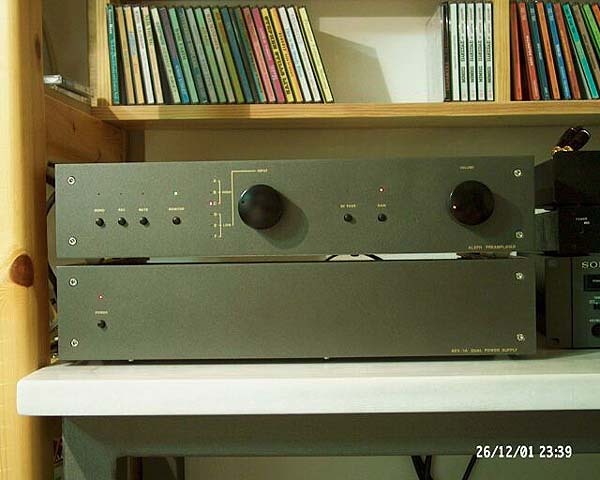 These preamplifiers took the place of my diy tube pre. 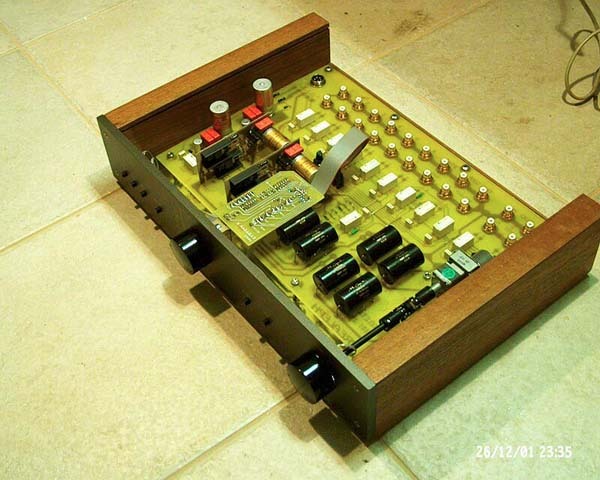 All these years I built more than fifty projects of pre and power amps and A-40 was still my main amp. Until Amplifier came into my life. Last year I decided to build the A5 (two monoblocks with IRFP 150) for my brother and later, for myself, two monoblocks (photos) of 3? or 30? 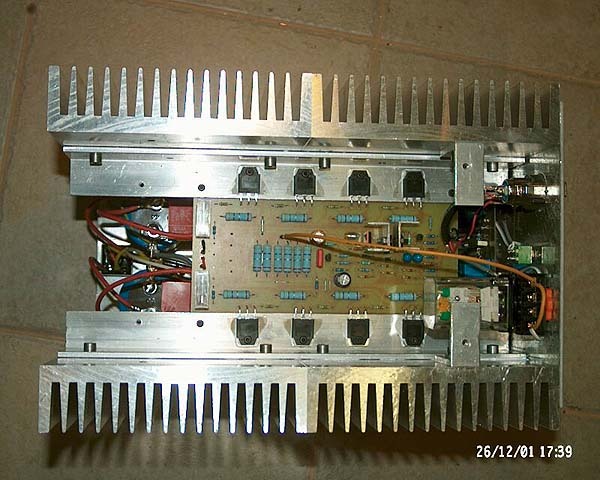 [+/- 27V DC, eight (4+4) IRFP250 per channel, balanced front stage like Amplifier 5, and adjustable bias (with 6 steps switch) from 0,4 - 1 A per device]. Now during the winter I work them biased at 0,8 A per device. 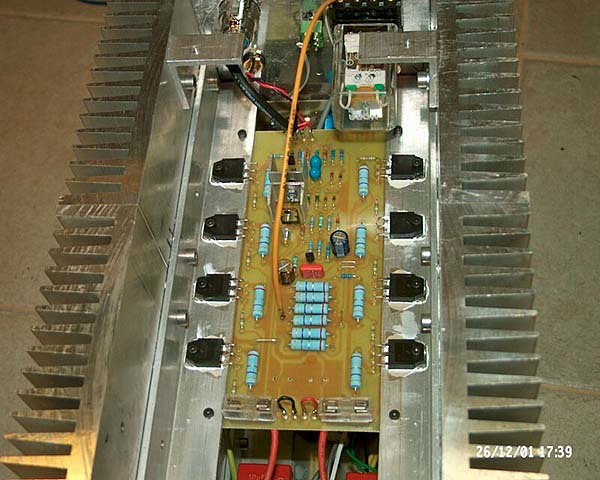 The temp of the heat sinks is 51C with the room temperature at 22-23C and DC offset 8 & 11 mV. 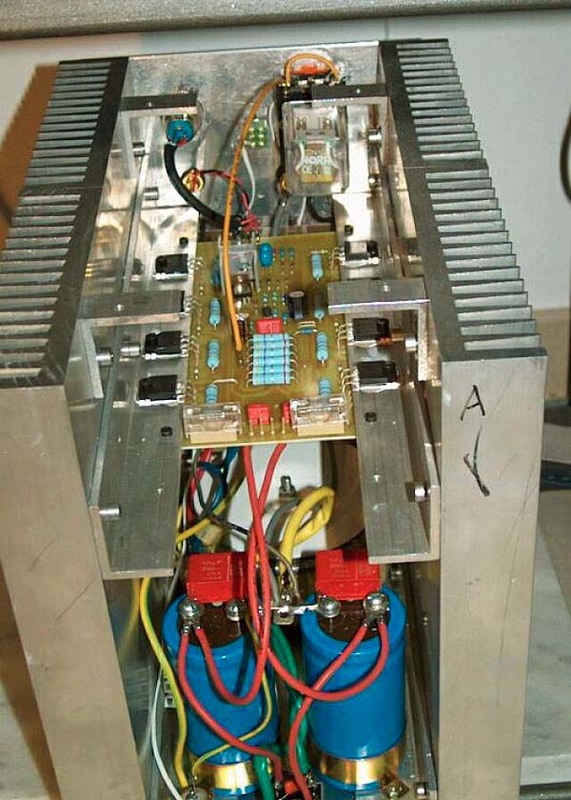 The PS is a 300 VA toroid transformer with 2 X 47000 uF/63V caps. My next upgrade will be 2 X 300 VA transformers per channel. The sound is better than my brother's A5 except the power.The difference from my old A-40 was much more than I expected. The Amplifiers are made for music! 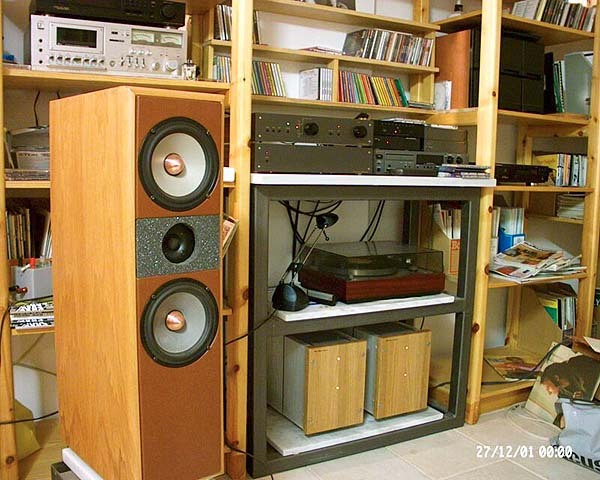 I thought that I had change my diy loudspeakers (ODIN with SEAS Excel units). The amps are working for more than 500 hours without problems. Then I constructed an L (photos) with relays at the inputs, remote controlled motorized PANASONIC pot. and changeable line stages. I can change them on the printed circuit with the other version of L or BOZ. The PS is dual regulated per channel, first at 80 V and finally at 61 V DC. I think that it sounds better than BOZ (the only cause is the upgraded ps?) My next construction will be the ONO , or PEARL PHONO. Anyone who likes to have the schematics and the layout of the circuit boards of the A5 (3 or 30 with eight IRFPs), be free to e-mail me, so as to send him with (.cdr) or ( .jpg) format. (I drew the circuit boards with Corel Draw ). I would like to thank Mr. Pass for sharing his knowledge with us, for so many years, first from the Audio Amateur, and now from diyaudio.com and his website. I 'll appreciated if you publish my e-mail with the photos in your website. Thanks and I wish you happy 2002.